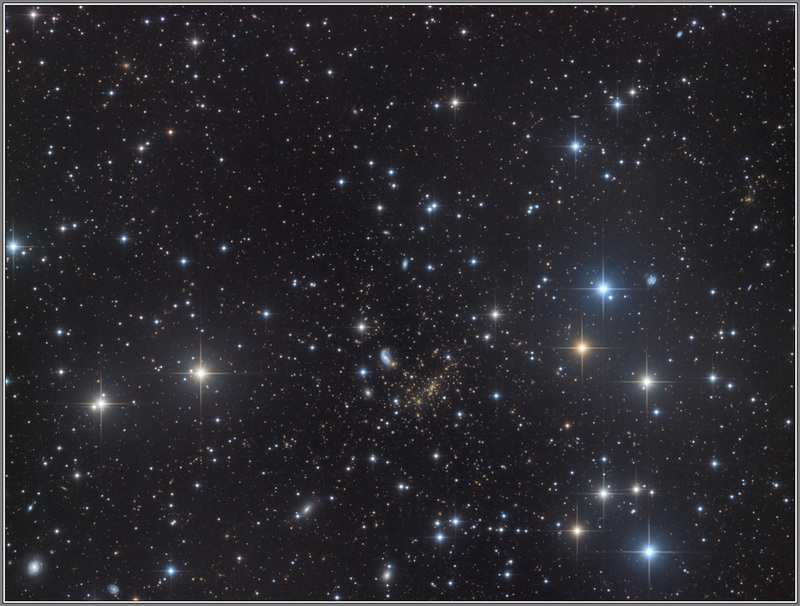 Galaxy Cluster Abell 2218 is a massive cluster of galaxies some 2 billion light years distant toward the constellation Draco. 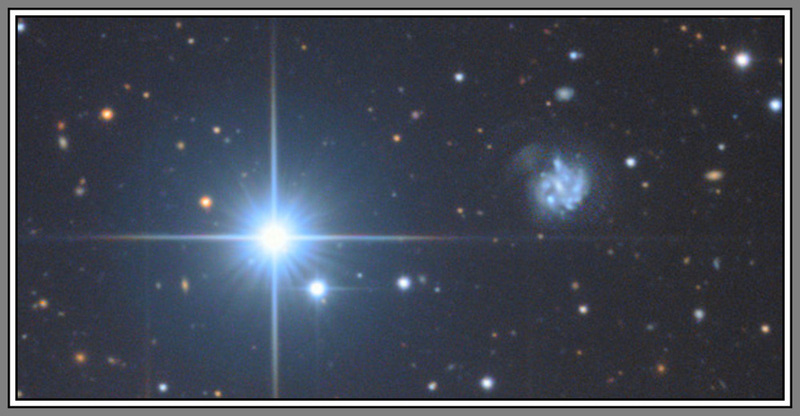 Galaxy cluster Abell 2218 is so massive that its gravitational field can deflect rays of light that pass through it. 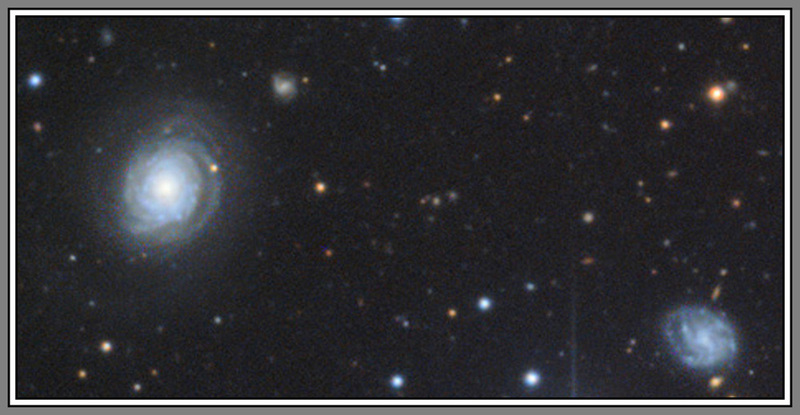 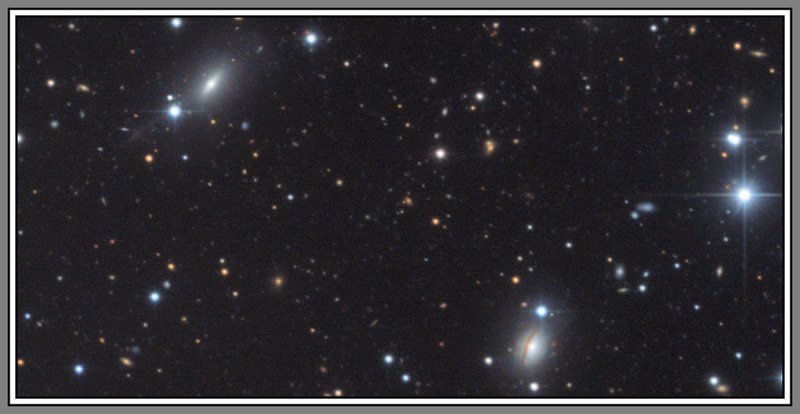 This "gravitational lensing" effect serves to magnify, distort, and brighten the light of distant galaxies that by chance happen to lie behind the cluster, which in the image are visible as thin arc segments.